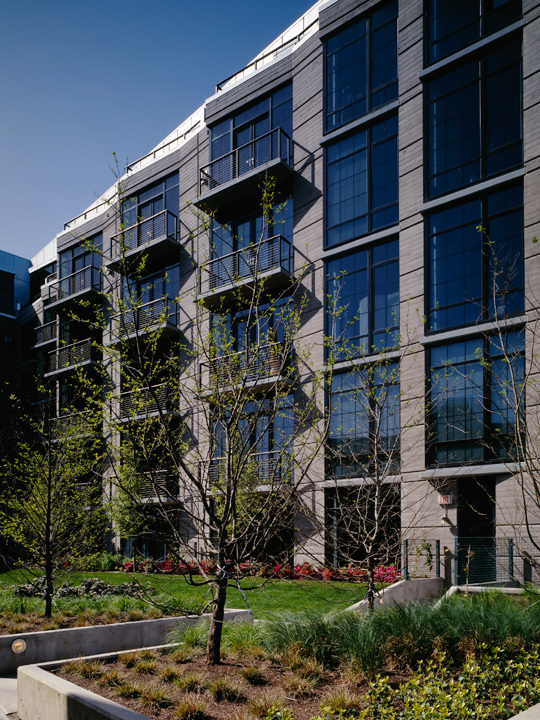 This Pearl District building design includes combinations of flats, townhouses, and penthouses with each having private decks. The eight story building has retail commercial space on the ground level and residential units on the floors above. 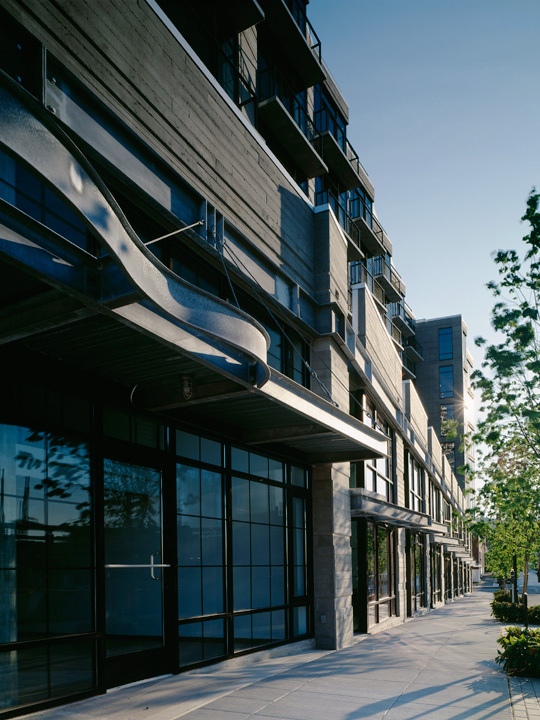 There are 134 condominiums units featuring large, industrial style windows that provide great views to the west hills and downtown. The corner building contains a fitness room and community center. There are three levels of parking with 146 spaces in the building. 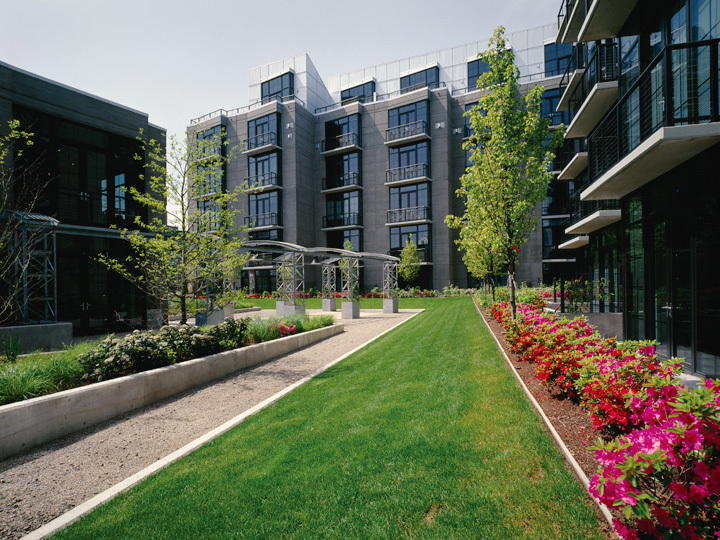 The building exterior consists of reinforced precast concrete panels and metal siding. Several architectural elements including metal trusses were incorporated into the design to relate to the industrial context. 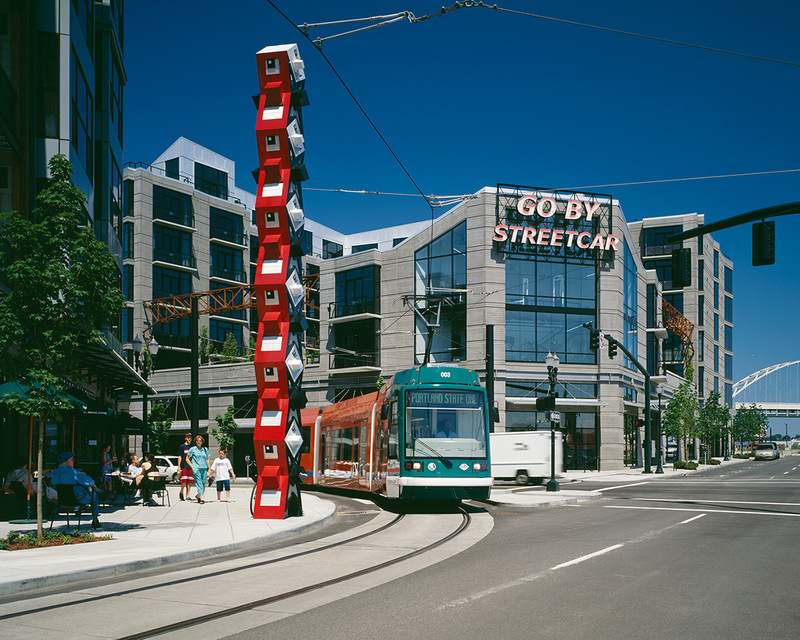 The "Go By Streetcar" sign is an historic reference to the existing "Go by Train" sign on the nearby Union Station and has now become a neighborhood icon.